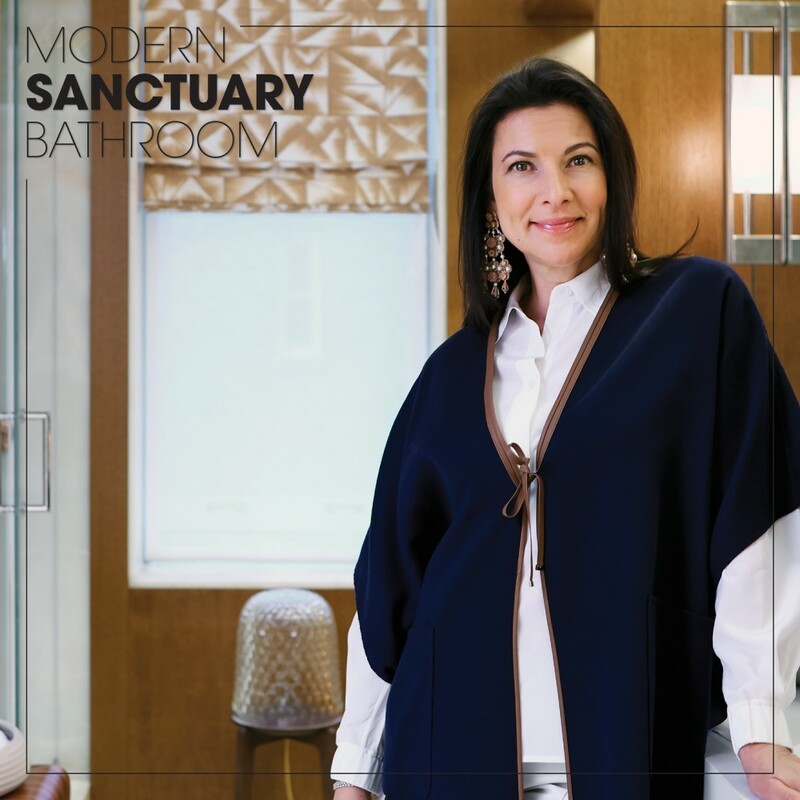 Creating a peaceful sanctuary in the heart of New York City is no easy feat, but designer Marcia Tucker has found success in this stunning master bathroom. 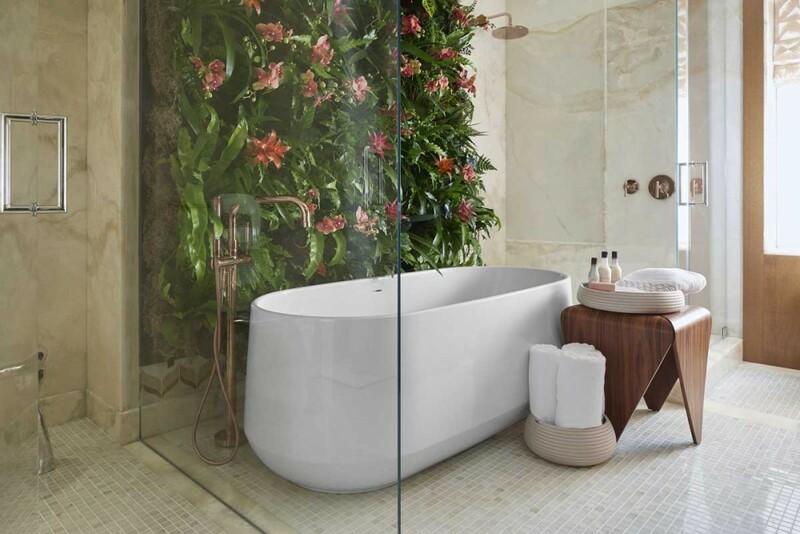 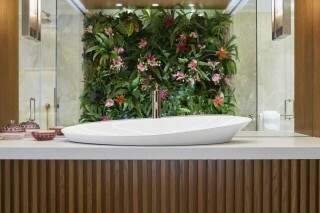 An installation of a live wall of greenery above the Ceric® freestanding bath makes it easy to feel like you’ve traded the urban jungle for the natural world: its fragrance immerses your senses into the relaxing atmosphere of the space. 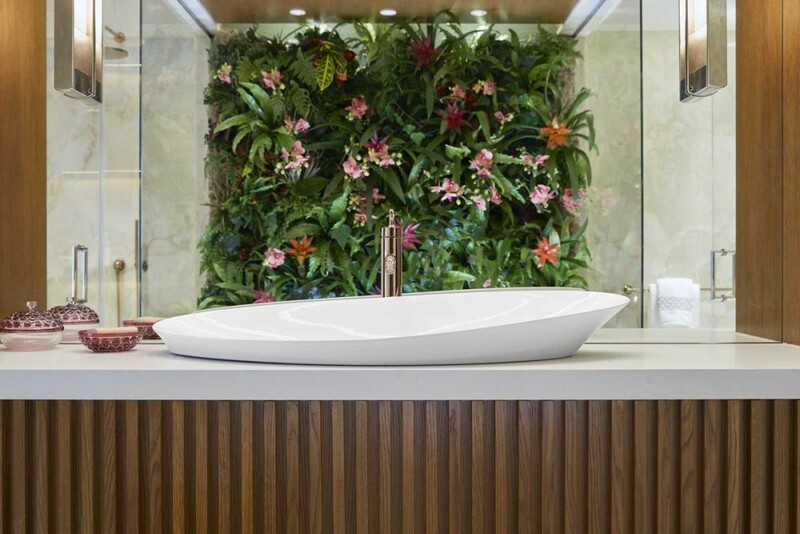 The Veil® trough sink allows organic curves and soft shapes to calm your mind while the Veil intelligent toilet brings unobtrusive technology to your routine. 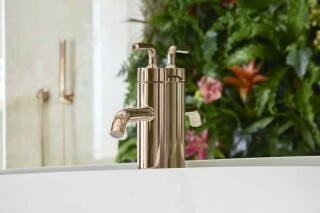 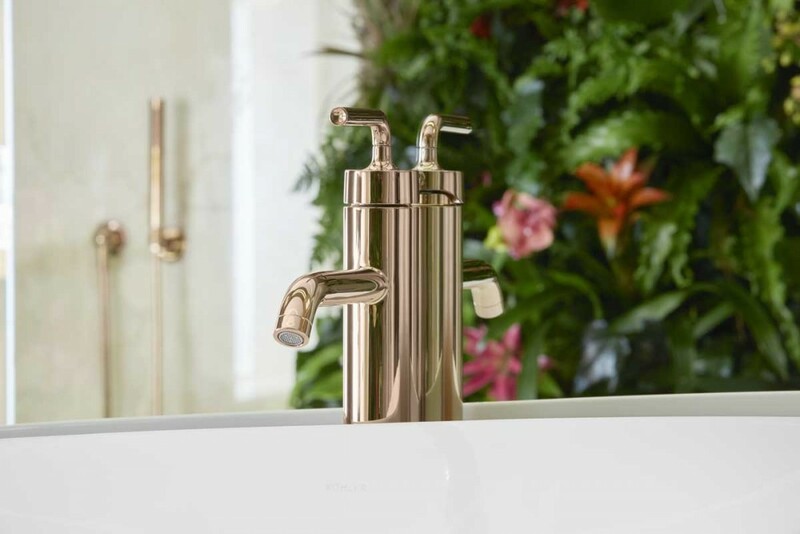 The expert use of delicate Vibrant® Rose Gold finishes and wood accents ensures every detail allows you to focus on your well-being. 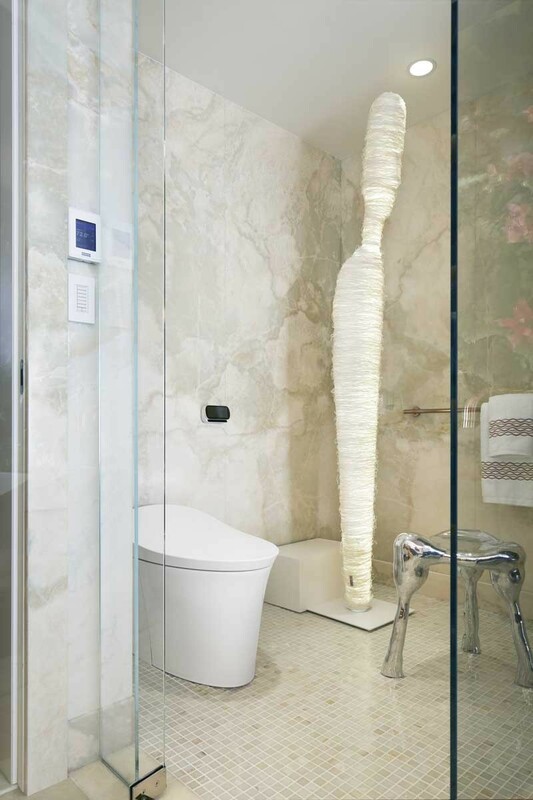 Discover more of the 2018 Kips Bay Decorator Show House here.